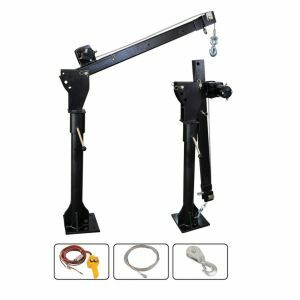 This Hydraulic Folding Hoist/Crane is a must-have for your workshop when doing car repairs or maintenance or lifting engines, machinery and all heavy components. 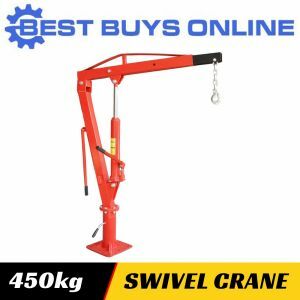 Make your work-life easier by ordering this fully featured and ultra-durable HOIST today! 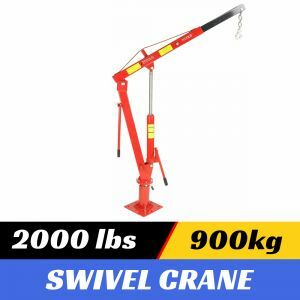 It's equipped with reinforced boom and hydraulic system, making it capable for fast & safe loading, unloading and heavy load handling up to 1,000kg / 1 Ton. 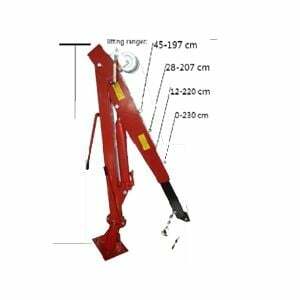 The two adjustable legs provides greater stability and four caster wheels for easy manoeuvring and positioning. 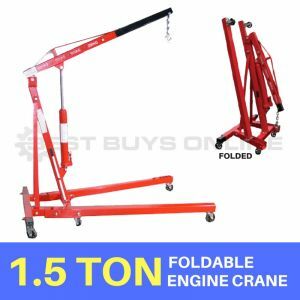 It has the folding design that enables easy storage or conveniently moving around your place. 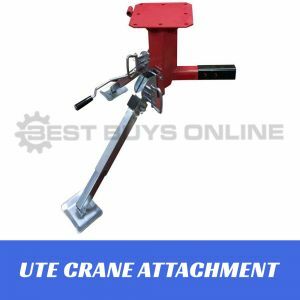 It is a fully featured, low maintenance and ultra-durable hoist crane made from high quality carbon steel, with a hard wearing powder-coated finish. 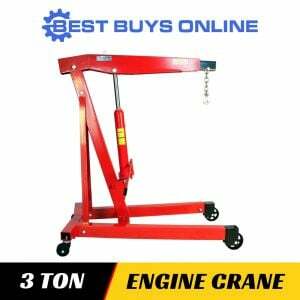 Piston ram is treated and polished to resist skiving. 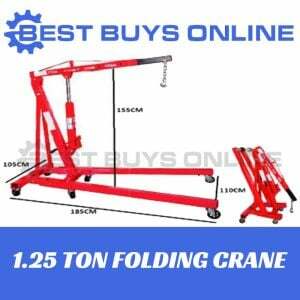 Shipping Dimensions: 78 kgs & 140*67*37cm skid.